This version of the classic Latin American arroz con pollo (chicken and rice) is popular in Nicaragua and very similar to Spanish paella, particularly the style of paella that is traditional in Valencia, Spain. The Latin American adaptation of this dish features certain characteristic ingredients - ham (or chorizo sausage), chicken, olives, red bell peppers, peas, and tomatoes, and is often seasoned with beer - but each cook has his or her personal preferences when preparing this dish. Arroz con pollo makes an excellent lunch or supper dish and is a great way to use up odds and ends in the refrigerator. In Nicaragua, arroz con pollo is often served with toast. Place the chicken breasts in a large saucepan with the bouillon; one onion cut into wedges and the juice of one lime. (Add other vegetables for flavor if desired - leftover roasted vegetables are especially good). Cover chicken with water and bring to a low simmer. Cover and simmer for 12-15 minutes, then turn off heat and leave covered for 5 minutes more. Check chicken for doneness - if the meat is still pink in the center, simmer for a few minutes longer until cooked through. Remove chicken from pot (reserving broth) and set aside to cool. 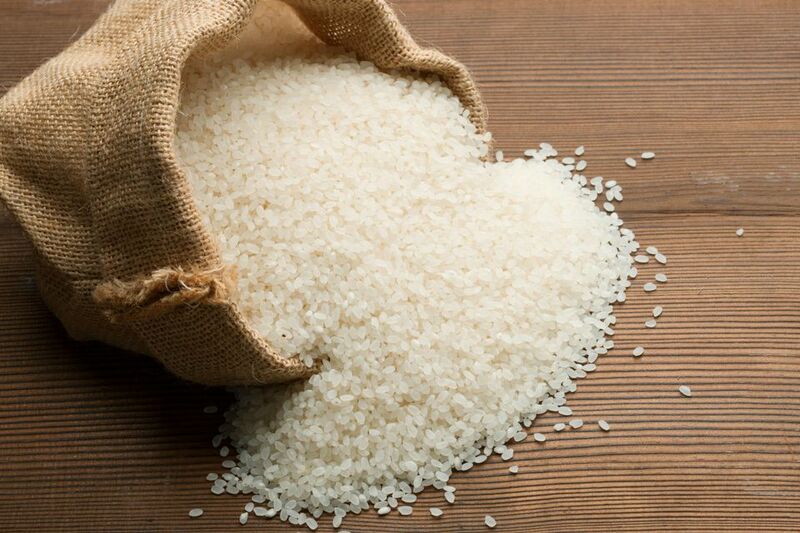 Strain broth into a container or bowl - you will need about three cups to cook the rice. Peel and dice the remaining onion. Peel and dice the carrots. In the same saucepan, add 2 tablespoons olive oil, the minced garlic, and the diced carrots and onions. Cook over medium heat until the onions are translucent and fragrant. Rinse the rice with water several times and add rice to the pot with the onions and carrots. Add 2 1/2 cups of the reserved broth and stir. Taste for seasoning, and add salt and pepper to taste. Turn heat to low, cover, and cook until rice is just tender (adding more broth if needed). Shred the cooled chicken breasts into bite-size pieces. Dice the ham. Add the butter to a large skillet or paella pan, and heat over medium heat. Add the ham and cook until slightly browned and crispy. Add the chicken and toss with the ham. Remove meat from skillet and set aside. Seed and slice the red bell pepper into strips and add it to the skillet with a tablespoon of olive oil. Seed and dice the tomato and add it to the skillet. Add the cumin, paprika, and Worcestershire sauce, and cook the vegetables over medium heat, stirring, until pepper is tender and fragrant and liquid has mostly evaporated. Reserve a few slices of bell pepper to use as a garnish, if desired. Add the cooked rice to the skillet, along with the beer, the olives, the capers, and the tomato paste. Cook, stirring everything together, for about 5 minutes over medium heat. Add the peas, the ham, and the chicken to the skillet and cook for several minutes longer. Check for seasoning and season with additional salt and pepper if needed.